E-Commerce or electronic commerce is a business term used for commercial transactions involving the flow of information through the internet. The diversity of eCommerce websites with their immense uses is found to be the most innovative application of the internet. The term eCommerce is used interchangeably with e-businesses, as the mercantile transaction occurs within an electronic medium of internet. The brand message is an important component of creating an image of the brand in the minds of consumers. Therefore, the eCommerce website should have a consistent brand message throughout the pages. The similarity of designs and color schemes portrays a consistent brand message, which is easy to interpret and memorize. ECommerce web development deals with the importance of consistent brand communication. The eCommerce web design is made customer friendly to provide the goods and services in an easier way. It is very important for an eCommerce website to provide sufficient space for feedback and complaints. By solving customer queries, one can eventually get close with the target audience, and for the establishment of proper communication, a collection of feedback is very important. The section of customer service in the webpage allows the company to involve and interact with the consumers and in turn, incorporate those feedbacks in the eCommerce web development. As the retail transaction has entirely shifted online with the help of eCommerce websites, the distribution and supply chain has improved largely. The distribution channels have made it possible to deliver goods and services efficiently in the required period, thereby making an eCommerce website a highly sought after shopping destination. 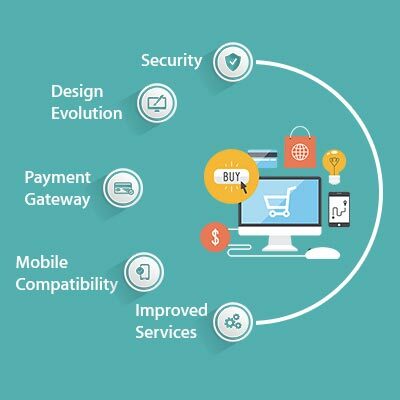 The innovative eCommerce web design have improved the retail services, and the customers feel connected with the online shop, more than brick-and-mortar stores. Due to this technological innovation, a live shop is always open for the consumers to shop anytime and from anywhere. This had improved customer service to a large extent. For engaging customers, eCommerce websites have incorporated various types of innovative and interesting content. The marketing strategies of a website are more extensive than offline marketing, flooding the customers with notifications, latest offers, discounts, and many more. This innovates eCommerce web design has made it possible for the consumers to enjoy shopping experience and sale as per wishes. 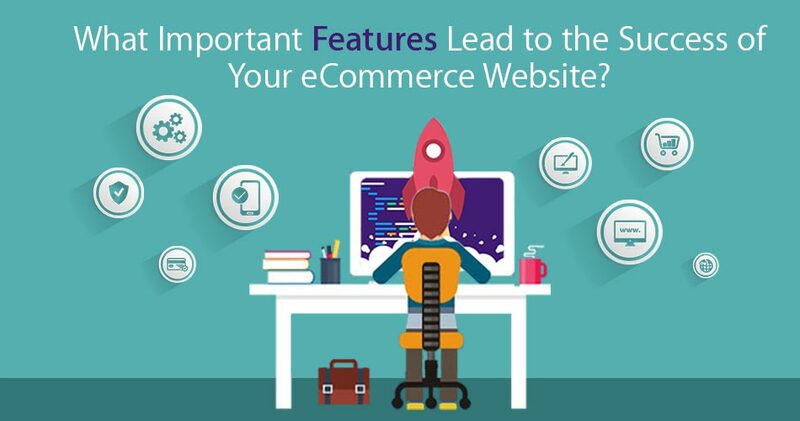 The majority of eCommerce websites are compatible with the mobile interface, and even some of them have launched their applications for using in mobile phones. With this, eCommerce web development has made online retailing very easy and handy. The customers can access the stores with the touch of fingertips through the highly compatible and attractive application of the online eCommerce stores. The marketing strategies and promotional theories of the digital marketers have made the eCommerce retails to be present everywhere, to reach out to their customers whenever required. Consumers can find the online versions of their favorite brands and stores in the advertisements, social media, emails, and all other possible forms on the internet. The payment gateway for online transactions has drastically improved by the innovations made by the web developers. The online payment has become more secure and therefore, it is required that these gateways are safe for transactions. The innovative concept of product photography has changed the scenario and pictures of products during eCommerce web development. The products are picturized and displayed in a way that consumers can visualize them more perfectly, and one can easily imagine to own the products after watching the pictures, slideshows, and even videos of the same. The shopping experience has been transformed into a secure version by the eCommerce website. There are open transactions in websites, and the products are displayed with their set of correct specifications. Everything is portrayed transparently to the consumers. The perfect combination of affiliate marketing and SEO are utilized by eCommerce retailers. The digital marketers strategize the marketing concept for the eCommerce website to drive quality traffic and improve their website ranking. The digital marketing concepts involving, search engine optimization, advertisement, pay-per-click features, affiliate marketing, and other interesting concepts are used in collaboration for eCommerce websites. It is a well-known fact that the eCommerce web development has transformed the way marketing of products and services used to be done in earlier days. ECommerce web designing is an important part of taking the retail business online. On the other hand, it is necessary for a business to be found online by their loyal customer base for entrusting their brand. Therefore, the e-businesses are taking various calculated risks for driving innovating capabilities for growing their eCommerce business. Definitely, some important features discussed!